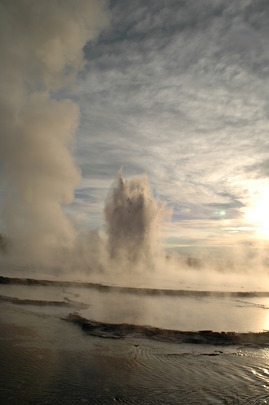 Great Fountain Geyser, Yellowstone National Park, Wyoming. FixedImagePhoto.com specializes in environmental portraits, digital images or prints of you in your home or somewhere you love. We can also capture candid photos at events you are hosting. If you're looking for a photographer in the San Francisco North Bay area you've found the right place. Based in Hidden Valley Lake, near Middletown in Lake County, we also operate out of Santa Rosa California. Call today (831) 235-6336.